Lawsuits Challenge Korea's "Shutdown Law"
Parents, teenagers and game companies have filed two lawsuits aimed at ending Korea's "Shutdown Law." 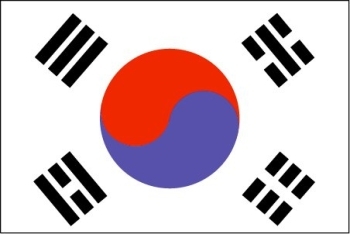 In November of 2011, South Korea enacted a "Shutdown Law" barring gamers under the age of 16 from playing online games between midnight and 6 am. The idea, originally put together by the Ministry of Culture, Sports and Tourism and the Ministry of Gender Equality and Family, is to cut down on "gaming addiction" among impressionable youth, and it went over about as well as you might expect, which is to say not very well at all. At least one appeal was filed to the country's Constitutional Court but that either didn't go anywhere or isn't going fast enough, because now the law is the target of two separate lawsuits. One, predictably, was filed by game companies including NCsoft, Neowiz and Nexon, but the other was brought by parents and teenagers associated with "a Korean organization representing culture" - perhaps MoonHwaYunDae, which had previously filed an appeal against the law - who claim that it tramples on parental rights. Kids need sleep, that much goes without saying, but attempting to legislate good habits is just asking for trouble. It inevitably leads to fraud, for one thing, as people try to fake out the system, which naturally leads to relentless back-and-forth between the kids and The Man until someone realizes that the whole thing is a counterproductive waste of time and gives up. The Ministry of Gender Equality and Family, however, recently said that the law is the "bare minimum" needed to protect teens from their own bad judgment and, one must presume, their incompetent parents. In other words, don't expect this one to go away without a fight.